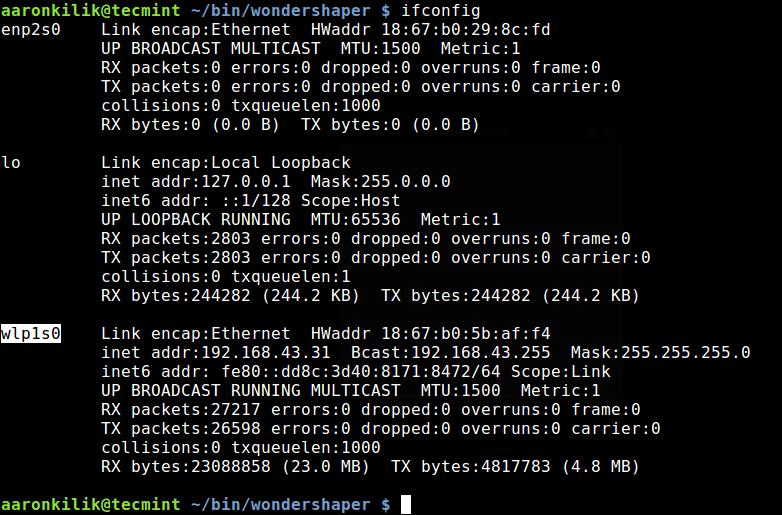 Wondershaper is a small bash script that enables you to limit the network bandwidth in Linux. It employs the tc command line program as the backend for configuring traffic control. 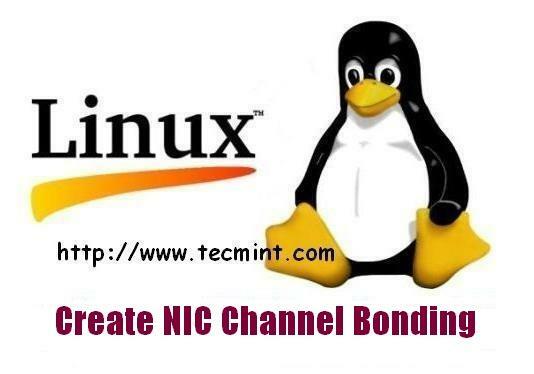 It is a handy tool for controlling bandwidth on a Linux server. It allows you to set the maximum download rate and/or maximum upload rate. In addition, it also allows you to clear the limits that you have set and can display the current status of an interface from the command line. Instead of using the CLI options, you can run it persistently as a service under systemd. In this article, we will show how to install and use wondershaper for limiting network bandwidth on Linux systems. First, start by installing wondershaper using your Linux distribution package manager from the default repertoires as shown. Before you start using wondershaper, you should first of all check all network interfaces attached to your machine using ifconfig or ip command. This will help you know the interface on which you want to shape bandwidth usage, for example the wireless interface wlp1s0 which is active. To define the maximum download rate in Kbps for an interface, run the following command using the option -a (defines interface) and -d (defines Kbps) i.e the download rate will be set to 4Mbps. To set the maximum upload rate in Kbps for an interface, use the -u option as follows. You can also set download and upload at once with a single command, for instance. The -s option allows you to view the current status of an interface. You can also use iPerf – network throughput tool to test the bandwidth reduction by wondershaper, for example. You can clear the download or upload limits you have set for an interface using the -c flag. It is also possible to run wondershaper as a service, where you define the parameters for shaping bandwidth in a config file. This enables wondershaper to start at boot time and limit bandwidth usage at all times, when the system is on, as explained in the next section. Under this mode, you need to set the interface, upload and download rates in the wondershaper configuration file located at /etc/conf.d/wondershaper. You can open this file for editing using your favorite CLI editor as shown. Define the necessary parameters as follows. Next, start the wondershaper service for the mean time, enable it to auto-start at system boot and view its status, using the systemctl command. In case you alter the values of the parameters in the config file, you need to restart the wonderservice for the changes to be effected. To stop the wondershaper service, use the following command. Wondershaper is a traffic shaper for limiting network bandwidth on Linux systems. Try it out and share your thoughts with us via the feedback form below. If you know of any similar tools out there, you can as well mention to us in the comments – we will be grateful. The article is about wondershaper, but the install commands say wondersharper. Is that a typo? Yes it is wondershaper, sorry for the typo, corrected in the article. Real traffic shaping is something different than this. Yes, this is true. However, the main aim of wondershaper is to simply the whole process. You can use tc, wondershaper’s backend or any other tool, for comprehensive bandwidth shaping.